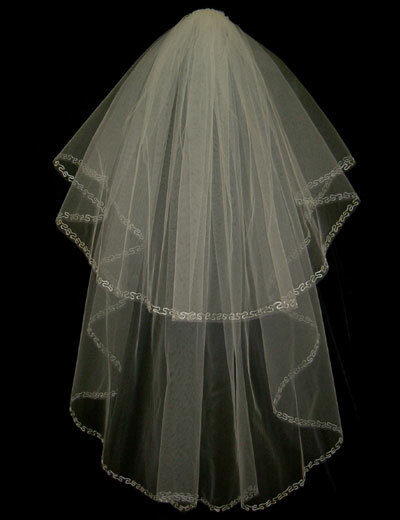 305 is one of our most popular wedding veils - particularly with an all over crystal scatter! 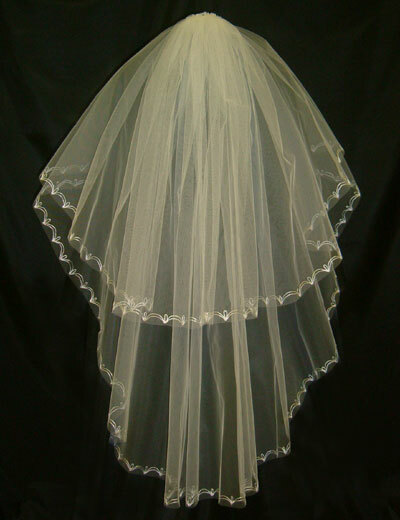 This is a two tiered bridal veil with a very subtle edging along the veiling net. 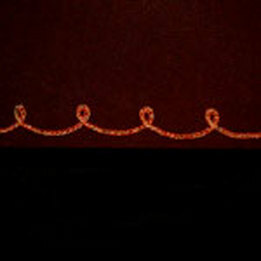 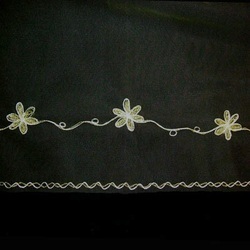 This edging is self coloured to appear as invisible as possible. 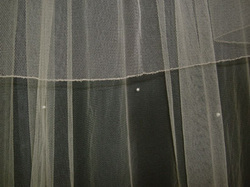 306 is a two tiered wedding veil with looped cornelly embroidery to both tiers with occasional pearl studs around the embroidered edge. 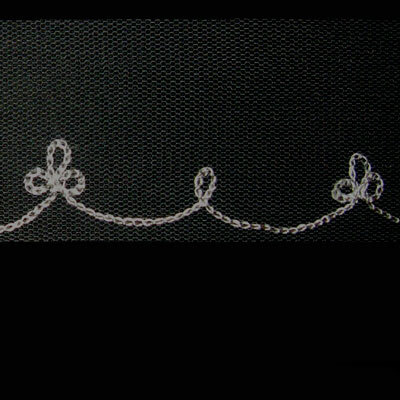 307 is a two tiered wedding veil with stunning embroidery using two embroidery thread colours. 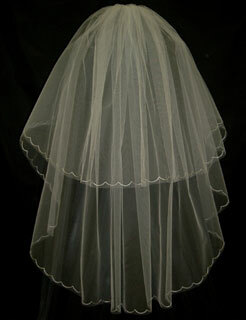 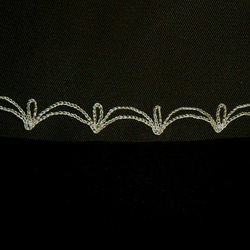 309 is a two or three tiered veil with quite simple scalloped cornelly embroidery all tiers. 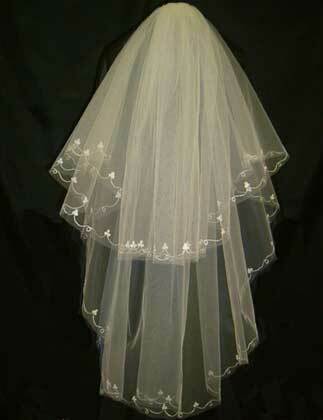 310 is a two tiered wedding veil with embroidered edges to face and second tier. 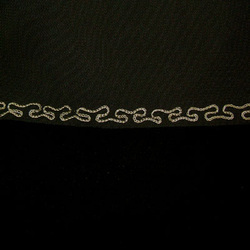 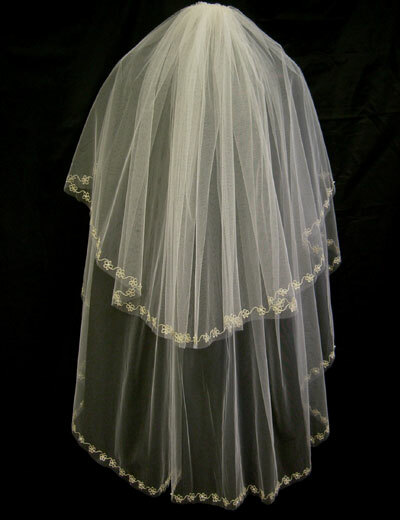 311 is a two tiered wedding veil with looped cornelly embroidery around the edge of both tiers. 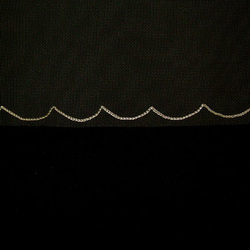 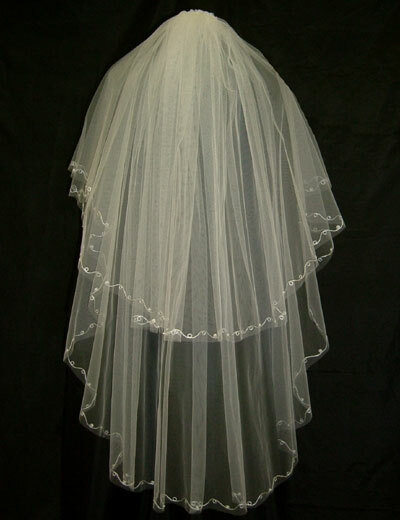 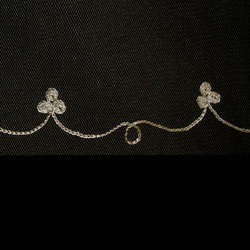 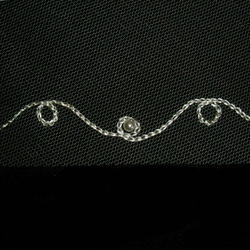 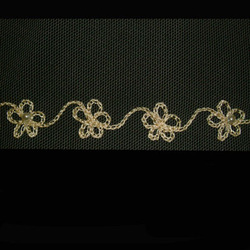 312 is a very simple cornelly embroidered wedding veil with straight edges and two tiers. 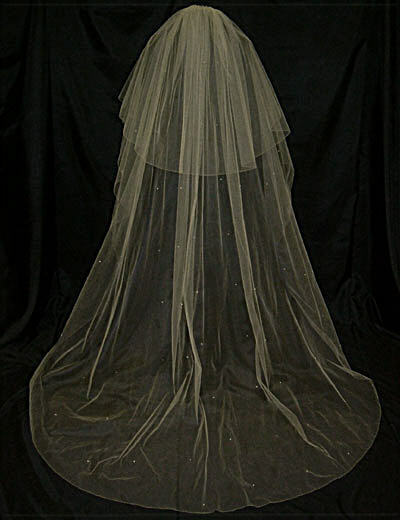 313 is a two tiered wedding veil with stunning embroidered scallops to face and second tier, with occasional pearls added to the flowers. 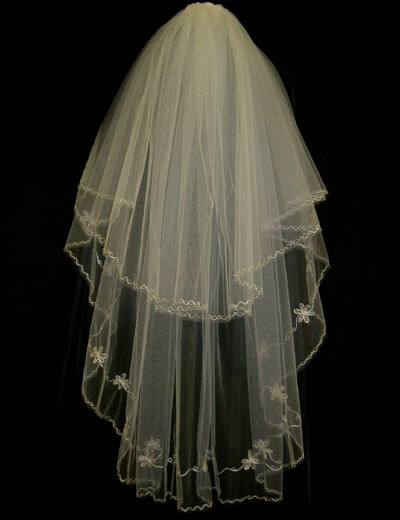 314 is a straight edged two tier veil with cornelly embroidery in the shape of trefoils and loops..